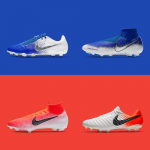 Nike revealed the brand-new generation of Nike Phantom Venom boots for the most lethal players. Created with unbelievable abilities and charming red design to power up your attack. We have decided to reward one of you who will get the chance to follow in the footsteps of Robert Lewandowski, Marcus Rashford or Mauro Icardi. 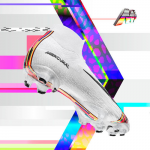 Win the Nike Phantom Venom football boots. What do you need to do? 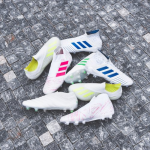 Answer just one simple question to enter the competition and it can be you to lace up the newest generation of Nike boots. You can get a little hint if you watch our latest video about the Venom shoes. We’ll announce the winner on 18th of February, good luck! Top4Football team. How many blades are on the new Nike Phantom Venom shoe? By filling out and submitting your email address you hereby give your consent to Topforsport s.r.o. to send its newsletters and other commercial messages to it as well as using it for remarketing purposes. This consent means you agree with us processing your email address.